This beautiful handcrafted mosaic beetle car is unique and colourful. This wall art adds a unique touch to any home or would make an ideal gift for any occasion. This mosaic beetle car looks amazing and colourful. This wall hanging would add that special touch to your home or would make a great gift. 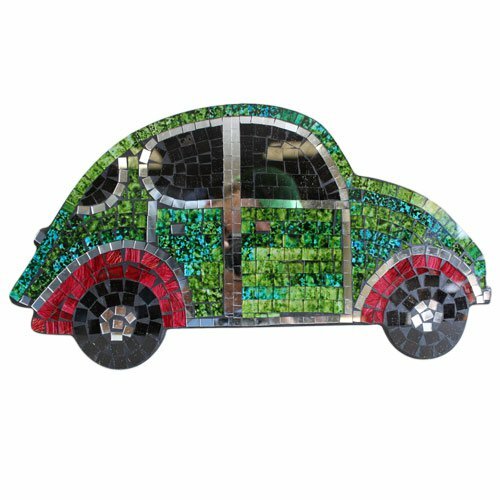 Each mosaic beetle car has been handcrafted using very fine chipboard, paintings and glass pieces. For ease of hanging the beetle car has a metal wall mounting hook on the rear.